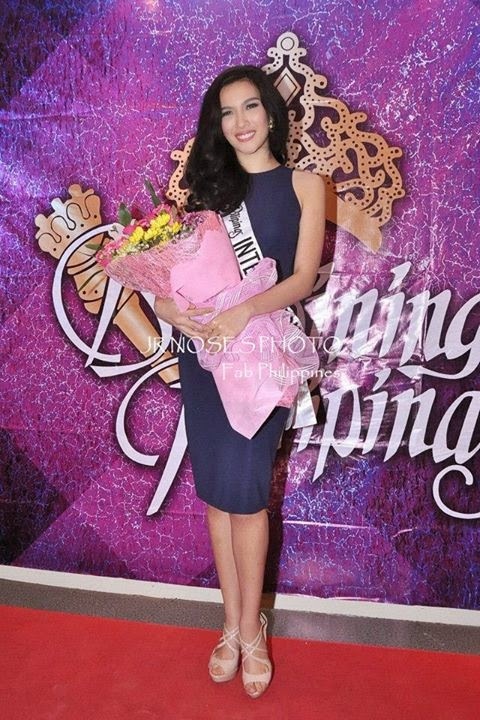 This time last year, Bea Rose Santiago left the country to make history as the Philippines' fifth Miss International. This year, Mary Anne Bianca Guidotti vies for an even bigger historical feat, as she guns for a back-to-back Miss International victory. With a killer combination of beauty and brains, Bianca is well positioned to clutch the title. Svelte and statuesque at 5'8, Bianca possesses striking good looks and a charming smile. Bianca's educational background boasts a degree in European Studies at the Ateneo de Manila University. Shuttling back and forth from Brazil to Manila has also given her rich knowledge of language, speaking fluent English, Filipino, Spanish, and Portuguese and recently learning Japanese. But beyond the impressive background is a golden heart and a noble cause. 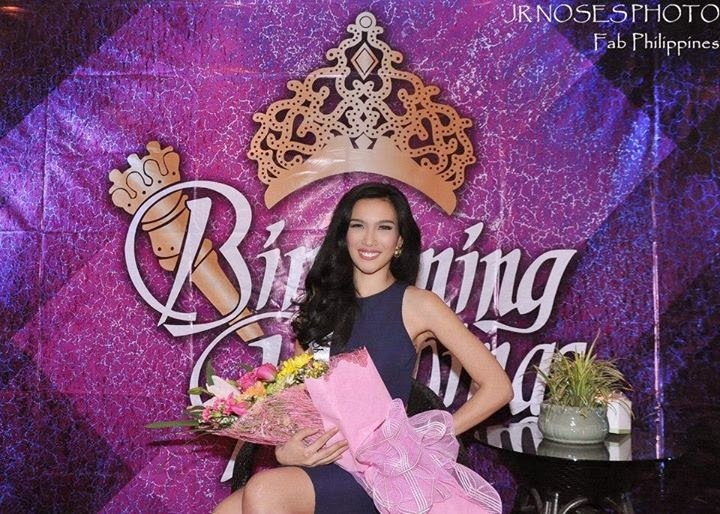 Prior to joining the Bb Pilipinas, she was a full time technical assistant for Community and Family Relations International, helping rehabilitate the oppressed and marginalized. As a Binibini, she also dedicated time to support non-government organizations like Red Cross, Gawad Kalinga, Operation Smile, Hero Foundation and many others. By representing the Philippines in Miss International, she hopes to reach out to more people and inspire volunteerism among everyday citizens. “What inspires me the most is the opportunity to be able to impart my message to the world. I want more than anything is to make the world stop and listen,” she shares. Bianca is steadfast in her quest for the crown. 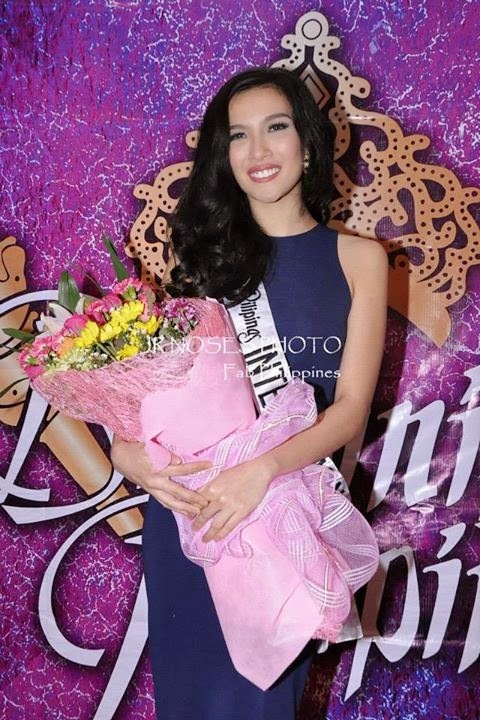 Since winning the pageant earlier this year, Bianca wasted no time training for the Miss International. She took courses on personality development and cultural immersion from Dale Carnegie, had Q&A practice sessions from Entrepreneur School of Asia, and focused on doing toning exercises at Gold’s Gym. Both Bianca and Bea will be Tokyo-bound on October 25, to do pre-pageant activities on the lead up to the Nov 11 pageant at Grand Prince Hotel, Takanawa Japan. Miss International is one of the most prestigious beauty pageants in the world. For 53 years, the pageant has culled the most beautiful women internationally to become ‘Ambassadors of Peace and Beauty,’ promoting world peace, goodwill and understanding. The Philippines leads the most titles from an Asian country, with 5 titlists, including Gemma Cruz Araneta (1964), Aurora Pijuan (1970), Melanie Marquez (1979), Precious Lara Quigaman (2005) and Bea Rose Santiago (2013). The Binibining Pilipinas 2014 pageant is presented by the Araneta Center, ABS-CBN, Cream Silk, PLDT Home, JAG Jeans, AVON, PAGCOR, Titan Watches—the official watch sponsor, PAGCOR, Manhattan Garden City, Pizza Hut, Lactacyd White Intimate, Philippine Airlines, Sofitel—the official residence, Manila Bulletin—the official print partner, David’s Salon, Philippine Daily Inquirer, Gold’s Gym, J.A.C. Motors, Picture City, Dale Carnegie Training Center, Entrepreneur School of Asia, Charter Ping An Insurance Corporation, and Raymond Saldaña Photography.